It was all about Articulate at a recent event at Dublin City University (DCU). On Tuesday 25th November, David Anderson (Community Manager with Articulate) spoke at the first-ever Articulate Community Event in Ireland and got the room of over 60 participants buzzing about 1916. Yes 1916 – more on that later. 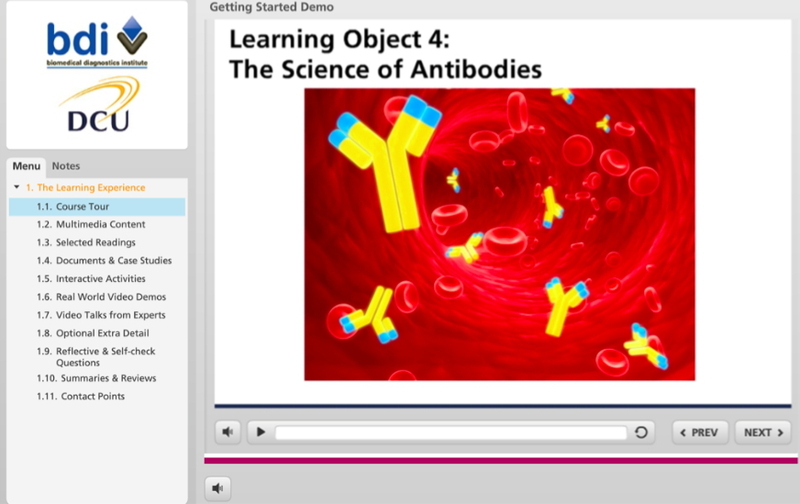 The same week also marked the completion of the first DCU-developed module of the online International MSc in Biomedical Diagnostics, which was created using Articulate Storyline software. The last learning object of that course (module) was delivered to students on the Wednesday of this week, much to the delight (and relief!) of all those involved. 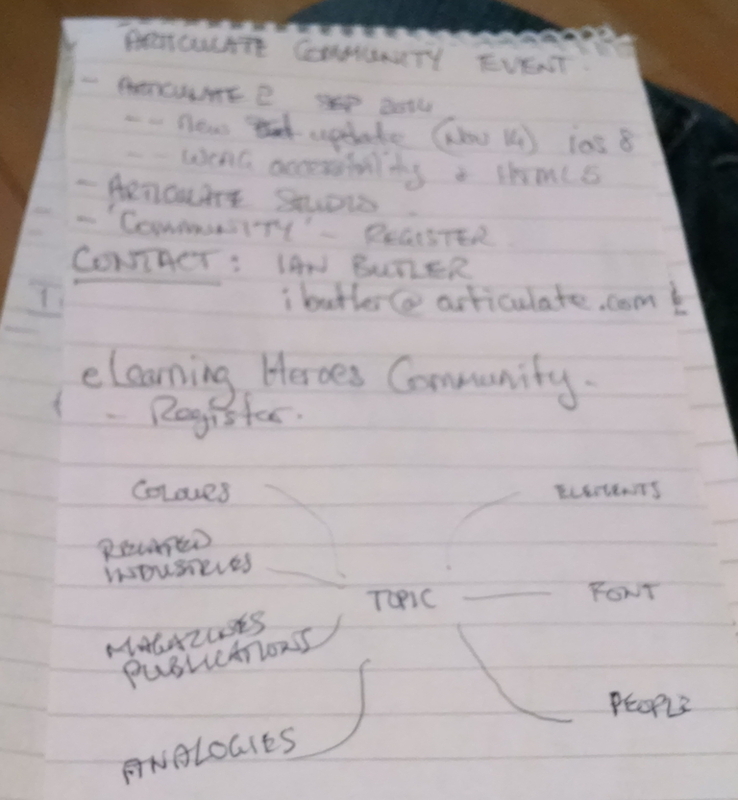 But first, let’s talk about what happened at the Articulate Community gathering, which was attended by Articulate enthusiasts from around Ireland and a number of guest speakers keen to share their experiences of this technology. Anyone who uses eLearning Heroes would have come across the work of David Anderson who has created a vast number of the tutorials on that recently revamped site. What was really interesting about his talk, though, wasn’t just about Articulate: it was his interactive exercise on course design which started when he asked us to dream up an idea for a course. While someone bravely suggested ‘Pet Care’ as a topic, it was the subject of the 1916 uprising that won the majority of the room over. And that’s when things got really interesting. Participants were split up into groups of about 12 and asked to discuss a look and feel for an imaginary online course on 1916. All that we were given was a mindmap containing prompt headings such as objects, people, sources of inspiration, metaphors/analogies, and fonts. We were then given approximately 10-15 minutes to come up with visual ideas that might help to convey an appropriate look, feel, and tone for a course (any type of course) on this topic. Then with one of the group taking notes, the brainstorming exercise began in earnest. What this really drove home to me was the power of collaboration in course design. Pedagogical purists might argue that by focusing on learning ‘objects’ we were still focusing on information delivery and not a constructivist or indeed collaborative learning experience. And that’s a point that’s hard to argue with. But the fact of the matter was that this simple course design exercise not only got us thinking about the look of the course, but also got the brain juices flowing on potential content, structure and even the beginnings of pedagogy within a matter of minutes. It didn’t matter if you were or were not well versed in learning theory or digital learning strategies. You didn’t need to be at this point, that could come later. To my mind, this technique got the course off the ground, got a conversation started, and generated early ideas where the whole was most definitely greater than the sum of its parts.